Hotels near Juma-Jami Mosque. Prices & Easy Booking‎! The Juma-Jami Mosque, also known as the Friday Mosque, is located in Yevpatoria, Crimea. Built between 1552 and 1564, and designed by the famous Turkish architect Mimar Sinan. The Juma-Jami is the largest and most magnificent mosque of Crimea and was founded by Khan Devlet I Giray in 1552. The Khan commissioned Istanbul architect Mimar Sinan to build the mosque. Sinan was a famous Turkish architect and engineer of the Ottoman period. He designed the Sinan Pasha Mosque and the Şehzade Mosque in Istanbul. Offering free Wi-Fi and a terrace, Uyut Guest House is set in Yevpatoriya, a 5-minute walk from the Black Sea beach. The rooms feature a balcony, air conditioning, fridge, TV and seating area. Located in Yevpatoriya, Apartments on Revolyutsii 25 features free Wi-Fi and units equipped with a kitchen. Yevpatoriya is 1.9 km from the apartment. 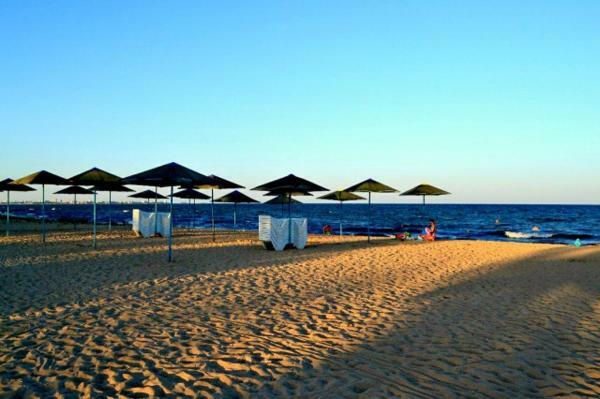 Featuring free Wi-Fi, House near sea offers accommodation in Yevpatoriya, 100 metres from the seashore. City centre is a 5-minute drive away. There is free shuttle service at the property. Located just 150 metres from the Black Sea beach in Yevpatoriya town, this hotel features a 24-hour reception and a shared kitchen. Rooms at Irina Guest House include air conditioning. 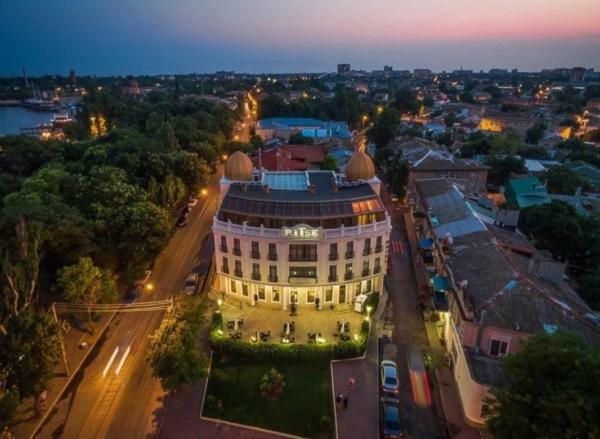 Featuring a terrace and bar, as well as a restaurant, Ritsk Hotel is located in Yevpatoriya. All rooms boast a flat-screen TV with satellite channels and a private bathroom. Free Wi-Fi is featured. At the hotel, each room comes with a desk. Featuring air conditioning, Meridiana is located in Yevpatoriya. Free Wi-Fi is featured throughout the property. All units feature a flat-screen TV with satellite channels. There is also a kitchen, fitted with a dishwasher, microwave and toaster. 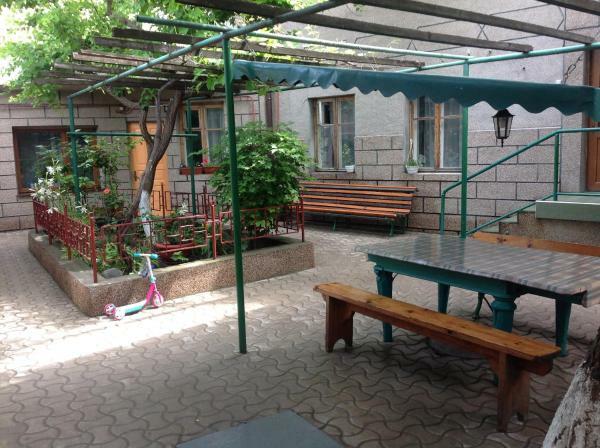 Tatyana is offering accommodation in Yevpatoriya. Boasting a shared kitchen, this property also provides guests with a terrace. The accommodation provides free Wi-Fi. All units in the guest house are equipped with a flat-screen TV. 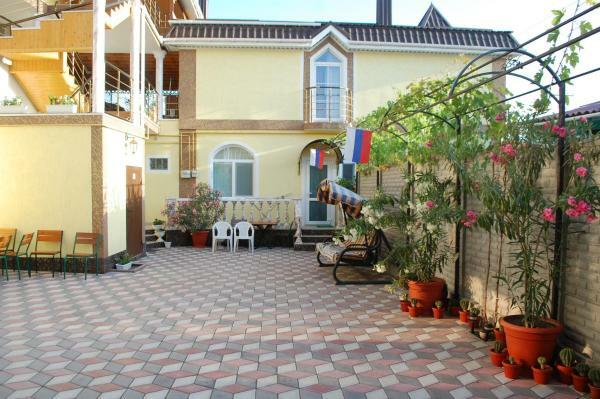 Guest home «Family house» is located in Yevpatoriya old town district, near the sea. Free Wi-Fi access is available. Each room here has a seating area with a TV. 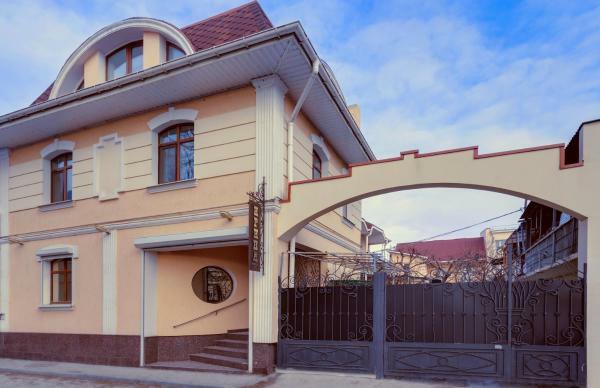 Located 350 metres from the Black Sea shore in Yevpatoriya, Zolotoi Linkor Guest House features a terrace and free private parking. The rooms offer air conditioning, a fridge, microwave and flat-screen TV with satellite channels. Гезлев is set in Yevpatoriya. Guests staying at this apartment have access to free Wi-Fi and a fully equipped kitchen. The apartment includes a living room and a bathroom with a shower. Yevpatoriya is 1.8 km from Гезлев.